Simon Cowell has officially lost Janet Jackson as a potential judge for the ‘The X Factor USA’ and is now shooting to kill in order to bag Britney Spears. Cowell is desperate to make a big splash with a new X Factor USA judge since his ratings for the show sucked last season. Cowell promised FOX 20 million per episode but delivered only one-half that amount. How did the big shot deal with failure? Blame himself? Never! He simply fired almost all his top celeb staff! 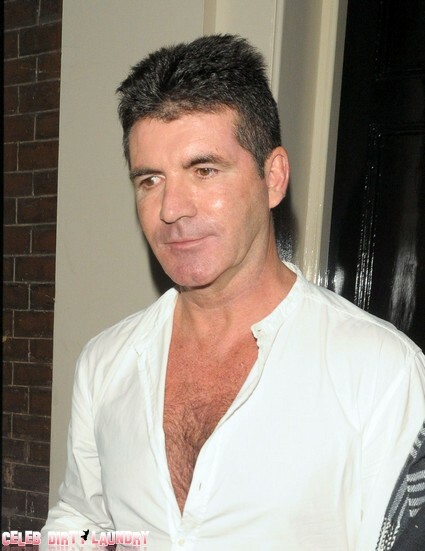 Now Cowell is desperate – even talking about doing a sing-off with The Voice and American Idol. Cowell needs Britney badly! BANG reports: Simon Cowell is “definitely talking” to Britney Spears about being a judge on US ‘X Factor’, Louis Walsh has confirmed. The ‘X Factor’ judge revealed Simon – who recently said the talent show would be a “walk in the park” for the ‘Toxic’ singer – has been in negotiations with the 30-year-old blond about being a panellist on the programme. Louis is expecting Take That singer Gary Barlow, N-Dubz star Tulisa Contostavlos and himself to return to the UK ‘X Factor’ for the next series later this year, but he is “not sure” whether ‘Down For Whatever’ hitmaker Kelly Rowland will be a judge on the show again. Her rep tells E! News that the singer’s commitment to her Number Ones Up Close and Personal Tour and as well as a Tyler Perry movie is the reason behind her passing on the show. But what’s even more interesting is the fact that Janet’s team claims they had “absolutely no meetings” with The X Factor in regards to a possible judging spot. Will Britney take the job on The X Factor USA. Will she have time to work while she is busy with all her lawsuits? What do you think? Sound off in the comments below. American Idol, X Factor, The Voice Winners In Sing Off?